Hours: Open During Summer months. The Selinsgrove Pool is a popular summer spot to relax and cool off. 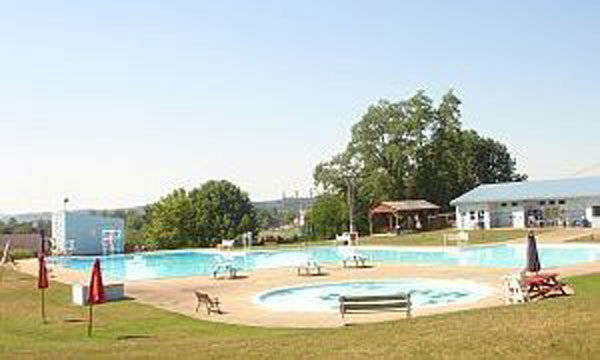 Built on top of a hill, the pool overlooks the Borough of Selinsgrove and the Susquehanna River valley. The pool complex is located within a residential area, and is conveniently right next to the Selinsgrove Elementary and High Schools. The pool features a main swimming area, a diving well with diving boards, a toddler pool, a bathhouse, and pavilion area. There is also a concession stand, grassy hillside, and hand-painted scenes covering the building walls. The complex is completely fenced in, and is a great location for people of all ages during the summer months.